It’s an excellent tribute to both men. 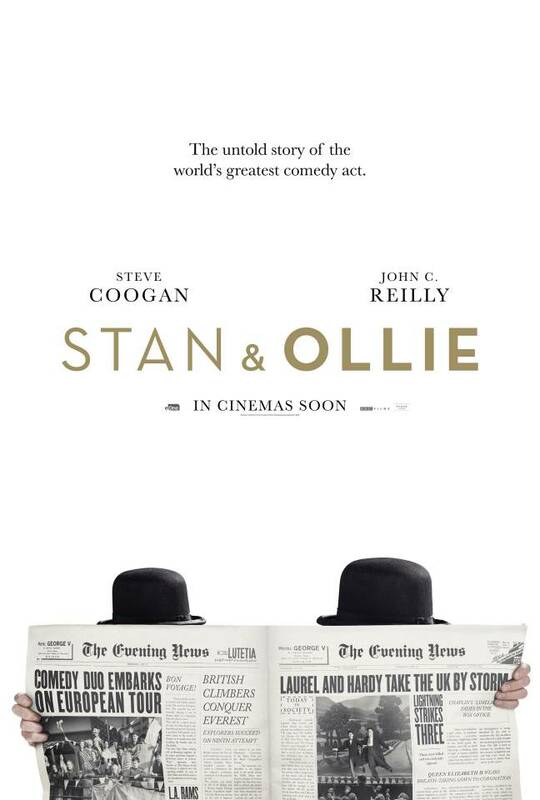 Both Coogan and Reilly get so into part. I saw them interviewed, and they discussed how they performed their routines in front of the original film shot at the time. It looks to be very well done. I saw that interview too. Both must have studied footage of the originals for a long time. A fan club eh? That’s pretty ace. My Grandpa loved Laurel and Hardy a lot. He was the one who introduced me to them. Never was keen on them, but will have to see this for the acting chops. The acting is of a very high standard. Poignant is the word a vinnie used and it’s the perfect use of it. Even if you aren’t fans of them you should enjoy it as you can see why they were popular, the tensions within the pair and how talent is always up against the business side. I’m in total agreement Alex. I was going to skip this but you’ve changed my mind Vinnie. Oh you should see it Kim. Just out of curiosity, why did you want to skip it? It’s not really the type of movie that I would usually gravitate toward, but it really sounds too good to miss. Oh you just have to see it. I think you’d really love it. I can understand. And what a line that is. I do have to correct the “slimey Hal Roach” line though. The way Roach was portrayed here was unfair and inaccurate, but done so to suit the narrative of this film. It is true he and Stan had a falling out but Roach wasn’t the unreasonable tyrant he is made out to be and didn’t hold Ollie to ransom in the way depicted here. If anything Stan was the instigator of their dispute, dating back to 1934 and it was HE who sued Roach over the contract issue but it came to nothing and they ended up working together again until 1940. Actually the whole storyline of Stan being angry at Ollie for making Zenobia is complete fiction, like many other incidents in the film while others are either exaggerated or a conflation of separate events. Thanks for the well thought out comment. I was referring to Roach in the way the movie portrays him. He was probably different in real life. I appreciate you commenting here. No worries. It’s just a shame that people might think that is how Roach was if this film is their only point of reference, as well as the other dramatised aspects of the plot. Thanks for the info. I’m always happy to learn. I’m jealous! I want to see this sooo much but still isn’t showing here. I’ve grown up a huge fan of L&H. Talk about comic masters. I think you’ll find much to admire here. I saw this the other day. The casting was perfect. And I loved the wives in the movie. The scene where they hold hands is so well done. And the bit where they explain about the movie (on the boat) and the argument were very well done. And that train station scene cracked me up. It was a movie that had humour but a lot of pathos to it too. Reilly and Coogan worked marvellously with one another. And the wives were a real hoot and support. The line where the woman said about how great they still do such old jokes showed how some people will never get it. Really enjoyed it. I saw Creed 2 which I also liked. God write up as always Vinnie. My loevely wife was just talking about this existing, and here it is in the blogs! Am bookmarking for if/when I see this one! Well your wife has fine taste. You have to see it. She has very fine taste – she married me! OK I’ll add this to the list of To See Eventually. Not because I don’t prioritize recommends like this, but the key word here is eventually. I don’t watch all that much, and the time to sit and watch a whole movie start to finish is rare. Haha, that’s why she’s got great taste. You’ll get around to movies sometime. I’ve got so many I’ve yet to see. So looking forward to this one mate! 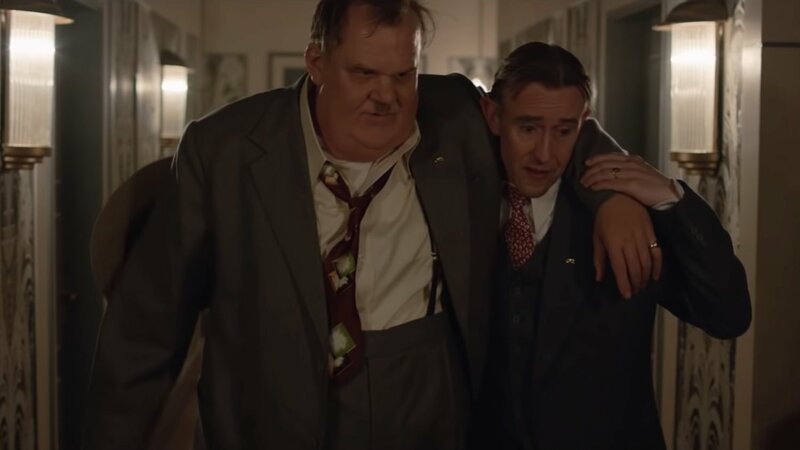 Coogan and Reilly seem like a match made in heaven.